Estate diamonds and jewelry are stones and arrangements that have been previously owned. Often, estate diamonds and jewelry are generational heirlooms that are passed down from a family. Part of the reasoning behind the name of estate diamonds and jewelry is the idea of the quality and craftsmanship. The stones, as well as the designs, are much higher quality than ordinary pieces of jewelry or other stones. Estate diamonds and jewelry are often “one of a kind” making them very rare and valuable. Georgian Era: Estate jewelry created during the Georgian Era are nature-inspired, with natural flows to the design. Round shapes and lines are typically associated with the designs, and precious stones are used to convey an earthly feel. Estate jewelry from the Georgian Era was created between 1714 and 1837. Early Victorian Era: Estate jewelry created during the Early Victorian Era are nature-inspired, but designed much more intricately than the Georgian Era jewelry. These romantic pieces are delicate, but incorporate brooches and lockets into the function of the jewelry. Colored stones started to be used during this time. Estate jewelry from the Early Victorian Era was created between 1837 and 1855. Late Victorian Era: Estate jewelry created during the Late Victorian Era saw an implementation of diamonds in the designs, as well as brightly colored stones. Crescent- and star-shaped designs became the overarching choices for craftsmanship during this time. Estate diamonds and jewelry from the Late Victorian Era was created between 1885 and 1900. Edwardian Era: The Edwardian Era produced jewelry that was extravagant and excessive. Expensive stones like diamonds, rubies and emeralds were used more than precious stones during this time. The Edwardian Era marked the time when King Edward rose to the throne after Queen Victoria died. Art Deco Era: Estate diamonds and jewelry from the Art Deco Era have more geometric and abstract designs that take influence from Cubism. Art Deco estate diamonds and jewelry are highly sought, and typically call for the highest price in open markets. 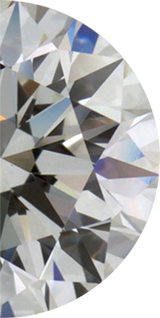 The Diamond Trade is an experienced diamond buyer, and will buy your diamonds online. If you are interested in selling your estate diamond or other jewelry online, contact The Diamond Trade. We will offer you a great price for your rare, one-of-a-kind diamonds and jewelry.